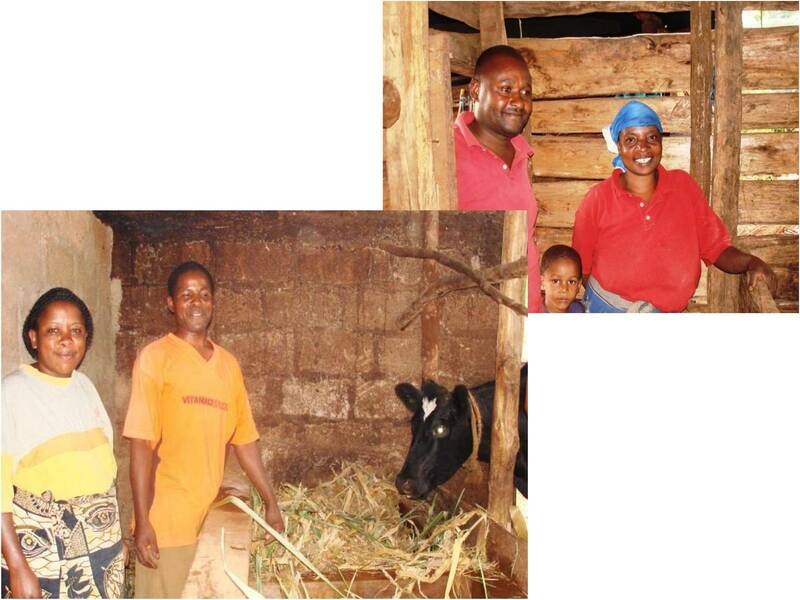 MWIDEFU set up a revolving fund for 85 improved dairy cows to replace their low yielding (average 2 lt/day) local breeds with higher yielding (average 10 lt/day) dairy cows. agree to follow recommended husbandry practices. Farmers who qualify get a bank loan of TSh. 450,000 at 18% annual interest. After a 6 month grace period they repay their loans over 18 months. The farmers are receive veterinary services for pay. 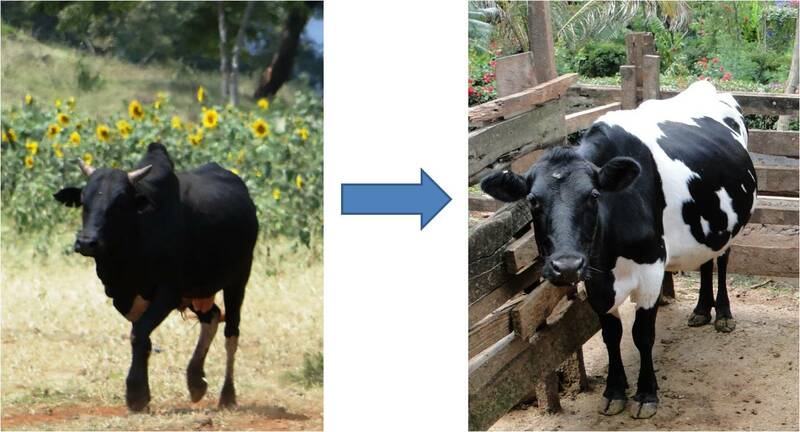 By the end of 2010, the number of improved dairy cows in Mwika exceeded 200 and the number is growing. 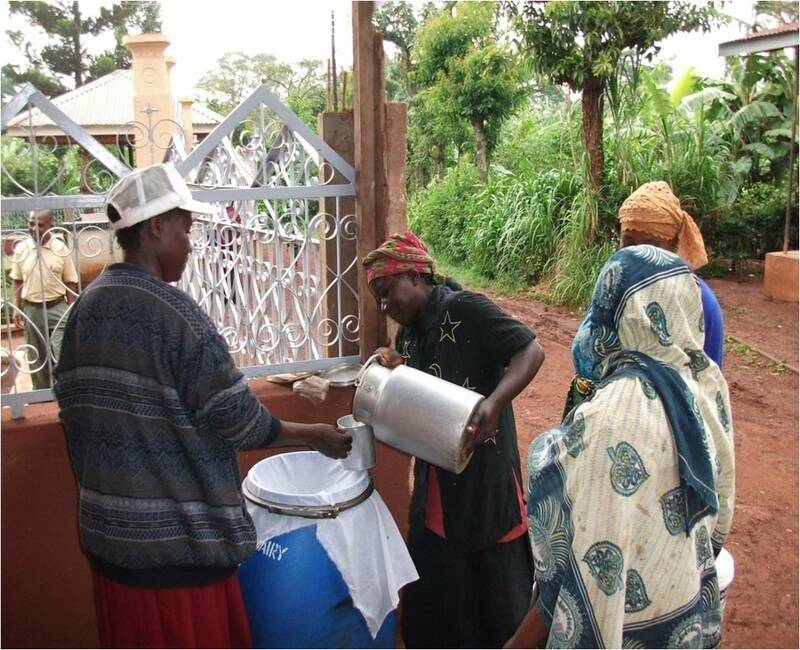 Our goal is to raise per capita milk consumption in Mwika of a miniscule average of 200 lt per day to 600 lt per day, and to increase the share of pasteurized milk from 20% to 100%. select feeds carefully from a wide variety available and to use silage to maximize milk output. The lecture was attended by well over 200 farmers. 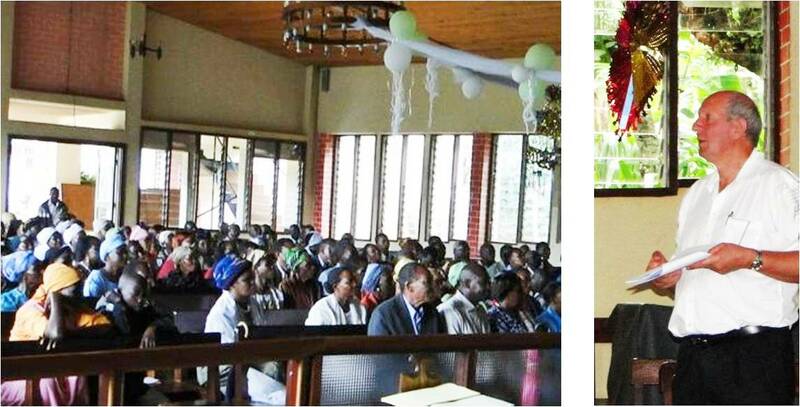 At these farmers’ request, his slides have been translated into Swahili and made into a booklet for their use. Milk deliveries to the processing plant for pasteurization has increased from 350 lt/day in 2008 to more than 800 lt/day by the end of 2010. Cottage industry style milk processing plant which pasteurizes manually in batch form can no longer handle the increased volumes. MWIDEFU therefore has initiated a follow-up project to expand its processing capacity. Currently, the milk processing plant operates manually on a batch system. The milk processing plant will be automated to increase its capacity from 800 lt/day to 2,500 lt/day. At full development, it is expected to handle up to 5,000 lt/day. A work in progress and we WILL succeed – by the end of 2011 you will be processing milk through an automatic high spec plant producing product of the highest quality – stand tall and feel proud!